We invite you to come learn more about the Early Learning Center! Contact us at 508-490-8260 to schedule a personal tour. 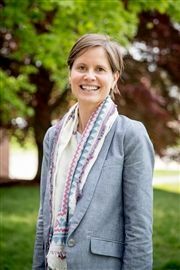 Katie joined Fay as Head of Primary School and Director of the Early Learning Center in 2018. She lives on the Fay campus with her husband and two children. Prior to Fay, Katie served as Assistant Director of Lower School and second grade homeroom teacher at The Buckley School in New York City. She previously taught Kindergarten and second grade at The Chapin School, also in New York. Katie graduated from Groton School and Dartmouth College, and she received a master's degree from Teachers College, Columbia University.